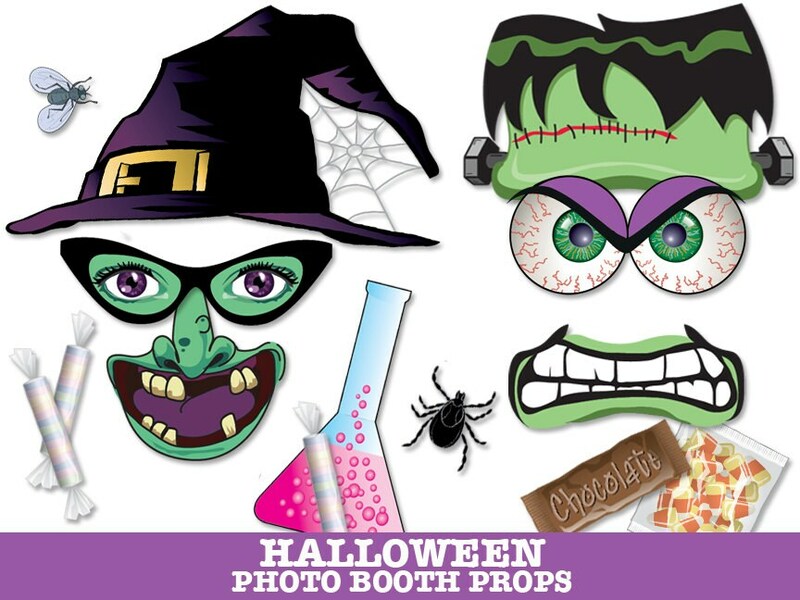 (¸.·´Halloween Monster Photo Booth Props by SimplyEverydayMe consists of 31 DIY printable props including: Vampire Head ★ Vampire Body ★ Crazy Glasses ★ Vampire Teeth (male-2 without & with blood) ★ Vampire Teeth (girl-2 without & with blood) ★ Frankenstein Head ★ Frankenstein Mouth ★ Bloodshot Eyes ★ Mrs Frankenstein Hair ★ Purple Glasses (with eyes) ★ Pucker Lips ★ Witch Hat ★ Witch Nose & Mouth ★ Witch Glasses (with eyes) ★ Pumpkin Head ★ Pumpkin Mouth ★ Martini with Eyeball ★ Bat Mustache ★ Bag of Candy ★ Sweet Tarts ★ Candy Corn ★ Chocolate Bar ★ Beaker ★ Bug ★ Spider ★ Fly ★ Grab a Prop Sign ★ Editable Speech Bubbles (2) ★ Instructions, Plus Information for materials need & paper suggestions. 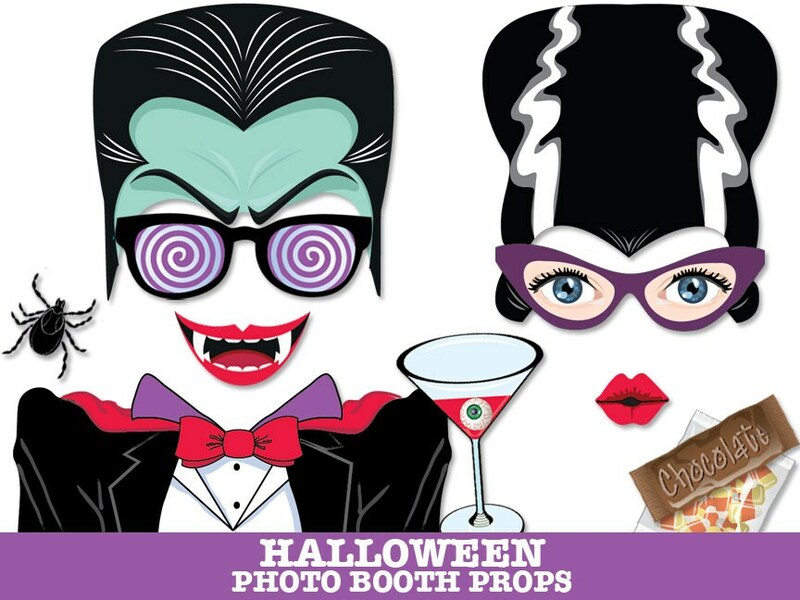 These are great for a ghoulishly good time!! 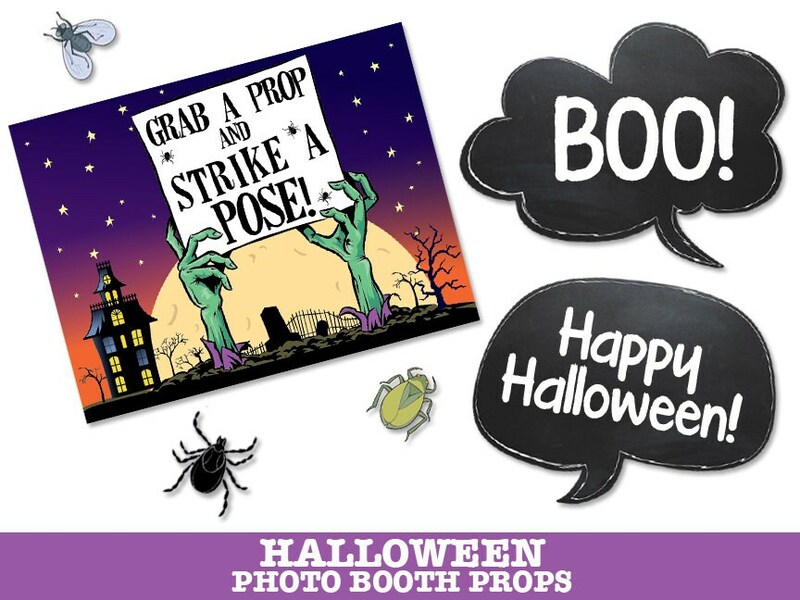 Add some Ghoulish fun to your Halloween party with these Monster Theme Halloween Props! 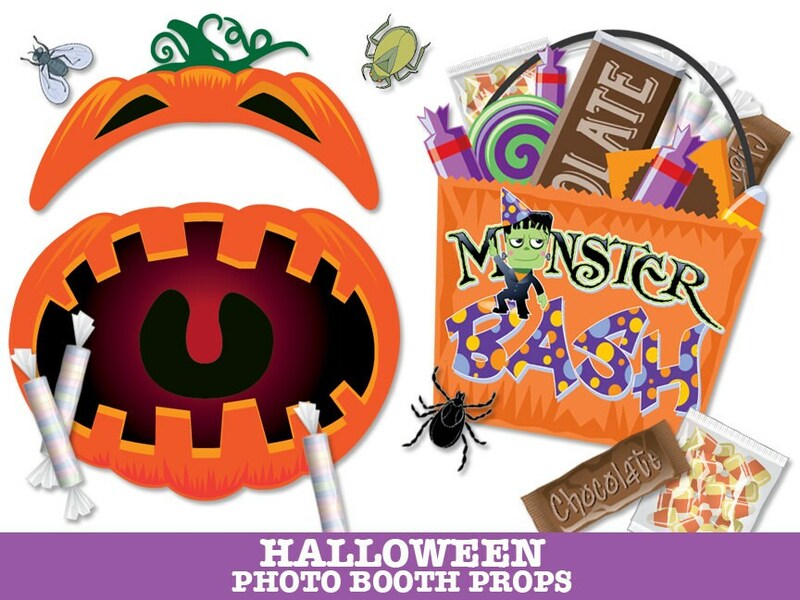 Whether you’re having a party, going trick or treating, having a School Halloween Festival , having a camping or glam camp party or just getting together with friends & family… you’re sure to make some memorable moments with this enjoyable Halloween Prop Kit! Thankyou so much for these amazing props! They truly made my Halloween Party awesome!!! 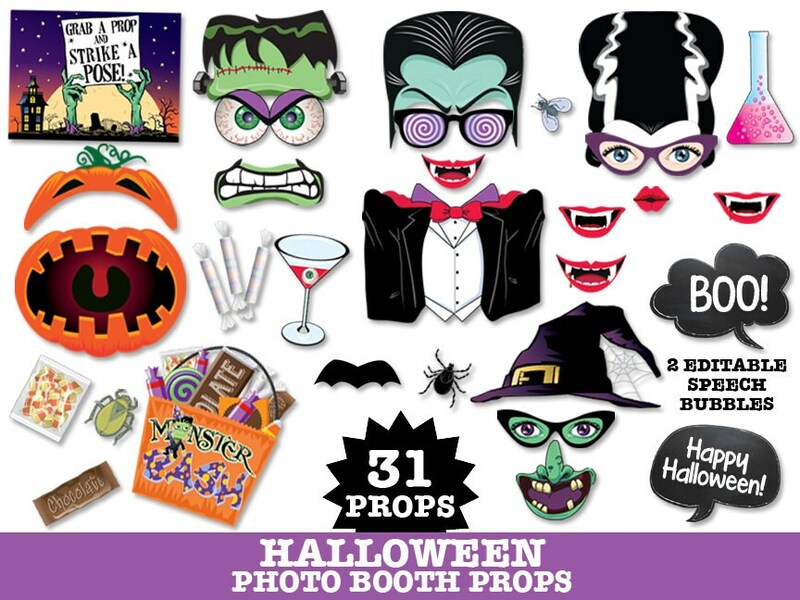 beautiful props! can't wait to use them! thanks!